Kashi Sehgal is Co-Founder & CEO of Gigabark, an integrated mobile solutions company rooted in phone and text messaging technologies. She also serves as Founder & Executive Director of SuperNova South, the largest, most accessible, and most inclusive multi-disciplinary technology conference in the Southeast. She has experience in strategy, business development, supply chain, e-commerce, and more through her work as Director of Strategic Initiatives & Business Development with IG Design Group, a global UK-based company that specializes in design and creates products for celebrations, stationary and creative play, and giftables. She also spent time as a management consultant at Accenture where she worked with both government and Fortune 100 clients in areas such as visioning and gap analysis, cost reduction, communication plans, training, performance measurement, incentive structures, org design, and more. She also has experience in strategic planning and brand strategy – especially as it relates to startups, early stage companies, and non-profits. She has started several non-profits including Music For Tomorrow which provided immediate financial assistance to jazz musicians affected by Hurricane Katrina and currently provides economic opportunities for jazz musicians around the country. MFT is now housed as a program of the Afro Cuban Jazz Alliance in New York. She also works with the Campus Community Partnership Foundation as Executive Director which promotes education through a student-centered approach focused on social responsibility and runs the Mentor Walk program. Kashi is actively engaged in the Atlanta community serving on various boards such as WonderRoot, Andrew J Young Foundation Advisory Council, Fulton County Career & Technical Education, Amplify4Good, WINGS for Kids, and Georgia’s WIN List and with groups such as the Metro Atlanta Chamber’s Mobility Leadership Council, ChooseATL, Atlanta Regional Commission’s Innovation Committee, The Lovett School’s Sustainability Committee and as an Advice For Good Advisor. Kashi is a native Atlantan. She attended The George Washington University for her undergraduate studies and Georgia Tech for graduate research. 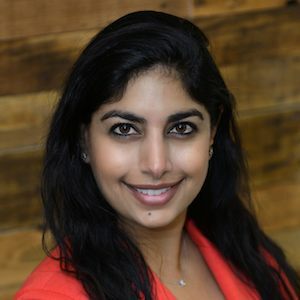 Kashi was selected as a member of Outstanding Atlanta’s Class of 2015, as one of Atlanta Business Chronicle’s 40 Under 40 in 2014, and as a member of the 2013 LEAD Atlanta and LaunchPad2X classes. She volunteers her time mentoring and with CARE, Acumen, and other organizations in her community.